Skytown Beer Company is Wilmington’s newest brewpub featuring 12 lines of house-made beer and a full menu of BBQ favorites! Chef Stephen Durley is featuring the “Best of BBQ,” with St Louis-style ribs, Texas brisket, grilled chicken with Alabama White sauce, and, of course, Carolina pulled pork! Durley and his wife, Beer Sommelier Hayley Jensen, are avid homebrewers and will be featuring several award-winning recipes. Brewers Jody Hinson and Ben Quinones round out the team. 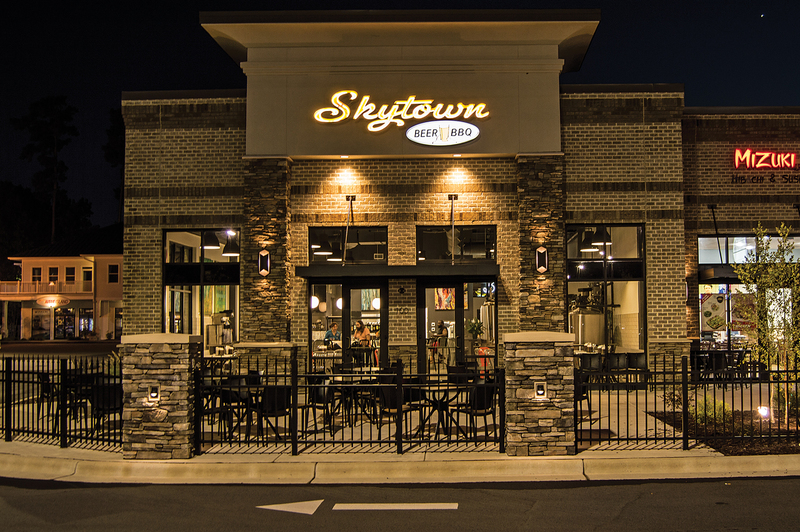 Skytown Beer Company is the sister restaurant to downtown favorite, Beer Barrio.